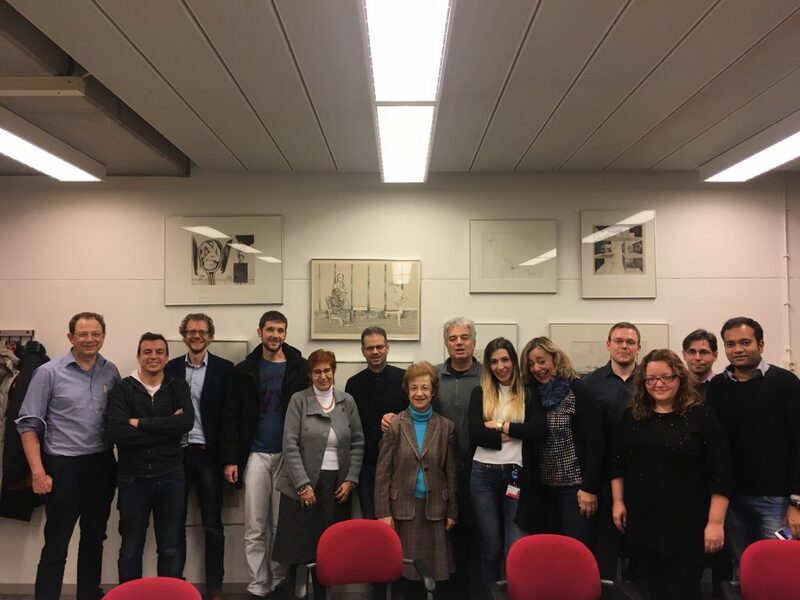 During our meeting in Eindhoven apart from working towards the preparation and implementation of Phase II trials, we had the opportunity to meet the eNHANCE project. Arjen Bergsma from the University of Twente joined our meeting and presented the activities of the 4-year project eNHANCE. During his talk we were introduced to eNHANCE system that consists of three main components: 1) intention detection, 2) performance assessment, and 3) behavioural monitoring. After discussing the technology developed in the project, Arjen demonstrated a nice video showing how the exoskeleton could be gauged through the users’ intention as captured through his gaze. Similarly, we also had the chance to explain about MAMEM project (by presenting our video) and explaining our achievements so far. It was great meeting peers working in similar fields and exchanging our knowledge and troubles.